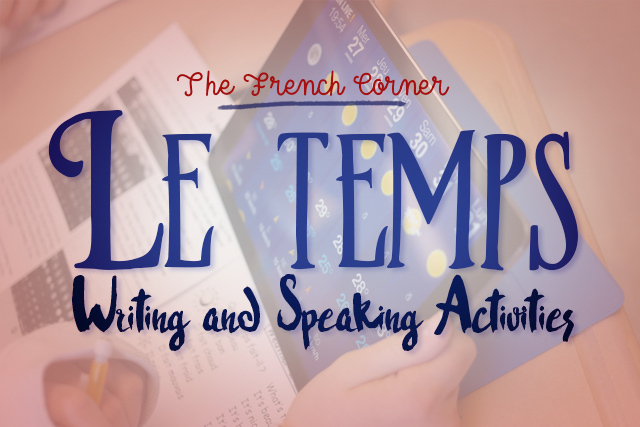 This is the 14th post in a series on using iPads in the language classroom. Click here to view an index of previous posts. Note that only part of this post is about iPads. In this post, I will talk about both high-tech and low-tech ways to practice weather and seasons. I have students come up and click on a pin. 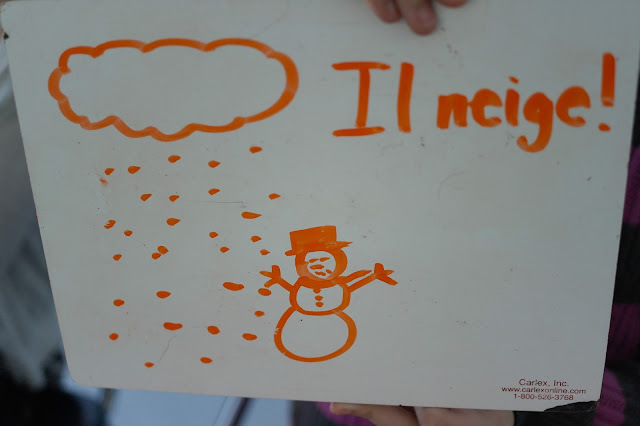 A photo pops up, and the students shout out vocabulary words or expressions relating to what weather or season it is. You can read more about how I use Google Maps in the classroom in this post. After this activity, I put several photos (not necessarily from the map) on the board, and the students prepare a description of one photo in groups. Each group comes up and describes the weather in the photo to the class, and they guess which photo it is. Another fun way to review vocabulary is to draw a scene on the board and have the students write a description with as many terms they can think of to describe it. I have students do this on mini whiteboards. After they've done a few of these, I flip flop the roles. I write a description on the board, and the students draw the scene, incorporating everything I've written. Click here for a post I wrote about other ways to use mini whiteboards. This year, I had students complete a weather forecast using the iPads. With a partner, they opened up the Chaîne Météo app and entered in the name of a francophone city provided by me. They then took a screenshot of the forecast for the week and prepared a script of the weather report. Then they opened up Adobe Voice (one of my favorite apps) and imported the screenshot. 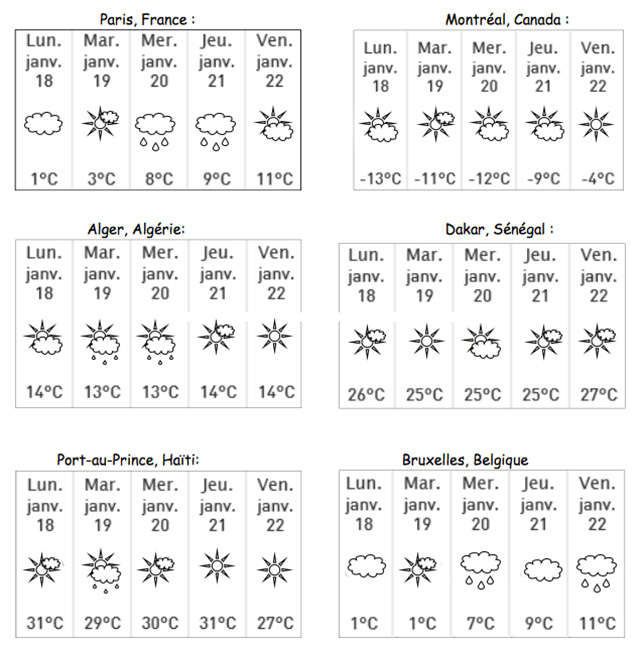 They then took turns announcing the weather for the week in French and saved the result as a video. 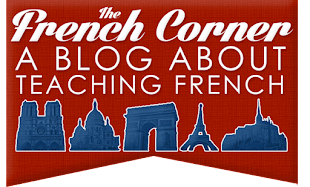 I graded based on pronunciation, word order, and content. 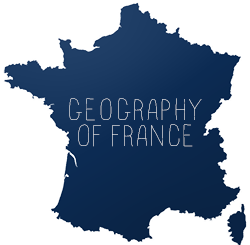 Finally, as a homework assignment, I have students pick a francophone city to write a weeklong report about (this is actually done before the iPad activity). The following day in class, students read their reports to one another, and their partners try to guess which city (of the six they had to choose from) they are reporting on. This is such a clever activity! I love it! I just have a quick question for you about it. To turn in the assignment, did you just have the students email you the file, or was there another way that you were able to see and grade all of the videos. Hi Natalie, I had the students export the file to the web, and then I copied down the short URL that gets generated when they do that. I then typed in the URLs one by one. You can also just grade them right on the device. There are many options. If they are 1:1 and the students have the mail app integrated, then emailing it is probably the easiest option.